In Tharpe's song, she gleefully submits to the transcendence that faith offers her (where the skeptic might be interested only in the idea of transcendence). 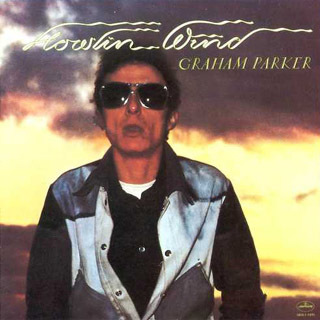 Some thirty years after Tharpe declared her salvation, an angry young singer-songwriter from Surrey, England, named Graham Parker questioned that outcome with the same zeal that Tharpe pronounced in hers. It was in a song called "Don't Ask Me Questions." In the mid-seventies, Parker wrote and performed romantically tough R&B in an era that spawned punk. Partly inspired by Van Morrison's fiery work with Them, Parker married the fury of punk with the black soul music that ran in his veins. "Don't Ask Me Questions" was the concluding track of his phenomenal debut album, Howlin' Wind (1976), and it brought his collection of heart-on-the-sleeve barbed-wire rock & roll songs to a menacing conclusion. Well, who does this treachery? Hey Lord, don't ask me questions. The same one must understand who wasted all these fools. Parker sings like a man trapped under the moral weight of each line. If Tharpe is carried by the power of her revelation, Parker twists the vowels, even spits them out, never finding comfort. By the conclusion, Parker grunts and growls, periodically shouting disbelief, as the rhythm section carries his bleeding carcass off into the next life. 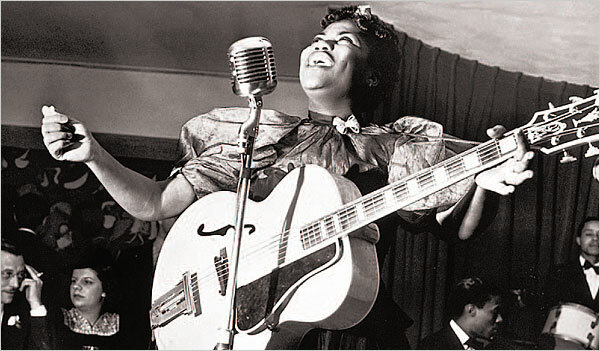 Yet "Don't Ask Me Questions" comes at us with the same gospel force of Sister Rosetta Tharpe's tidal wave. Only Parker's song is an expression of total horror in which he raises urgent questions about what constitutes faith, about whether faith matters, and why that terrifying question is often etched in torment and human iniquity. If Tharpe surrenders with passion to God's plan, Parker's defiance is equally forceful with its own spiritual transcendence. 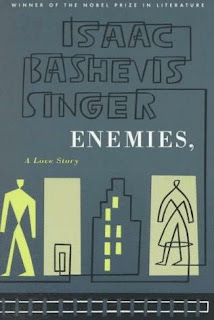 Like Herman Broder in Issac Bashevis Singer's novel, Enemies, A Love Story (1972), Parker needs God to exist in order to defy both him and our desperate need to have faith in a benign deity. "Don't Ask Me Questions" is as deeply felt a spiritual statement as any great gospel number even as it lays waste to the foundation of the music's own history. There are indeed strange things happening every day. 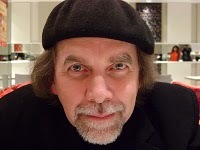 -- Kevin Courrier is a writer/broadcaster, film critic, teacher and author. His forthcoming book is Reflections in the Hall of Mirrors: American Movies and the Politics of Idealism. Beginning in January 2011, Courrier will be presenting a lecture series on Film Noir (Roads to Perdition) at the Revue Cinema in Toronto. He will also be facilitating a film series called Reel Politics at Ryerson University beginning on February 13th. And I thought I was the only one who thinks GP merits serious intellectual attention. There's a new movie coming out soon called Don't Ask Me Questions....should be pretty good. Personally, IO think the later stuff is much much better and that GP is the great artist of our time...but that's just me.